It will probably come as quite a large surprise to hear that the Mr Kipling Apple Pie has not actually been formally reviewed on www.pierate.co.uk (it certainly came as a surprise to the Pierateers themselves, when they were trawling trough the archives to celebrate 150 pies reviewed and found only the Mr Kipling Apple & Blackcurrant listed!) and for that, we’re sorry. We’re sorry that we’ve let you, the pie blog reading public, down. We realise you want to know the score when it comes to top pies and for too long we have not informed you whether the apple variety of Mr Kipling’s range really are exceedingly good. I can assure you – they are! After all, there’s a reason why they are called the nation’s favourite apple pies (their branding and claim to fame, not mine). Packed full of crisp apple-y goodness, and surely one of your five a day, the Mr Kipling Apple Pie ticks all the boxes and ensures it is the premier portable snack sized fruit pie. Whether on a roadtrip, at a cake and pie sale, having just played sport, or at a friend’s leaving meal... the possibilities for cracking out a top tasting Mr Kipling Apple Pie are almost endless! And rest assured, while this may be the first time we have officially reviewed this pie, there has certainly been no lack of consumption of this pie in the past 10 years or so (easily pre-dating the creation of the Pierate Blog!) I would make a relatively safe guess that between the Pierateers there have been well over 200 Mr Kipling Apple Pies eaten (often all 6 in a pack eaten in one group sitting), which make this surely the most eaten pie in Pierate history! 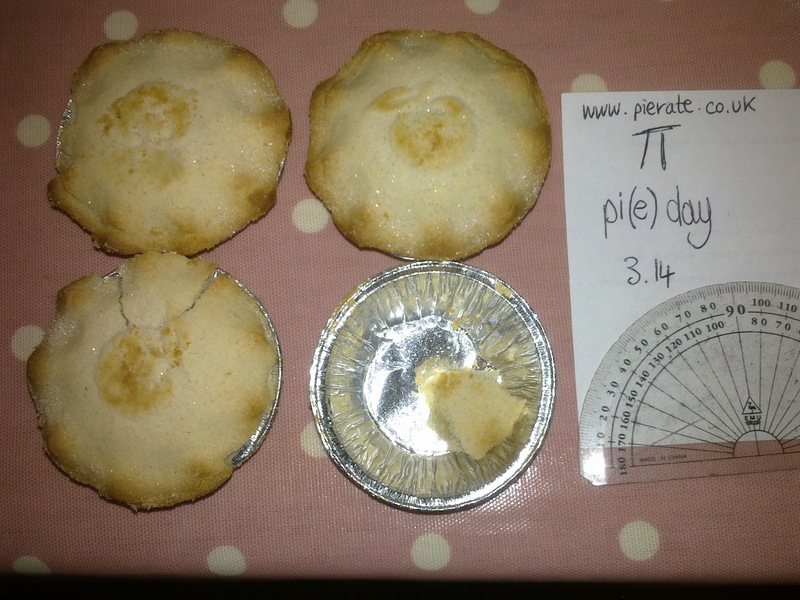 And to ensure we could give you the thumbs up again, Pierateer RAS celebrated National Pi(e) Day in America (14th March - i.e. 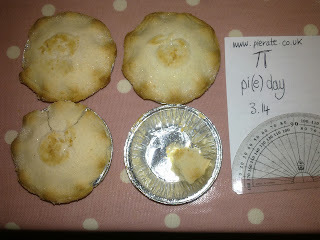 3.14 if you write the date American-style) by eating 3.14 Mr Kipling Apple Pies! They sure tasted good! After all, they are exceedingly good pies! Oi, pierateers. Get your act together. Your website is an inconsistent sham. You pictured the 10,000-page-views-Honorary-Pierateer with a box of exactly the Mr Kipling Apple Pies that this review claims have never been reviewed. But the link in the Honorary Pierateer review is to a review of Apple and Blackcurrant pies, making that poor child in the pictures appear to be a liar, which such a handsome child could never be. Significant compensation is due to his parents, I should think. Can't argue with that photo Rob - I'm sure the Mr Kipling PR department will be looking to improve the filling of their pies for you. As for Mr Anonymous, thank you for your feedback. Every bit of feedback is useful in our quest to be the premier pie resource. I think the only thing you missed is that I said in the review above that they weren't "formally reviewed". You actually had a sneak preview of what I was eventually going to score the pie in the photo you mention and it was simply a delay in actually posting the formal review up.